i am a feminist. i can’t pinpoint the time and place i became one, it just seemed like i always have been, which, of course, is highly improbable; babies don’t come out of the womb concerned about gender equality, after all. to clear up a few things early on, please know that while bras aren’t my most favorite things in the world, no, i do not burn them. also, i don’t hate men. on the contrary, i’ve loved one enough to marry him. it amazes me that these clichés, among others, even still exist (this amazement extends to clichés and judgments about homosexuals, but that’s another exciting story for another day). feminism for me was never about symbolic bra burning and man-bashing. nor was it ever about proving that what men can do, women also can. i think time is better spent building up *both*sexes rather than tearing each other down. i was recently invited to attend ‘Kwento ko, I-Blog Ko? 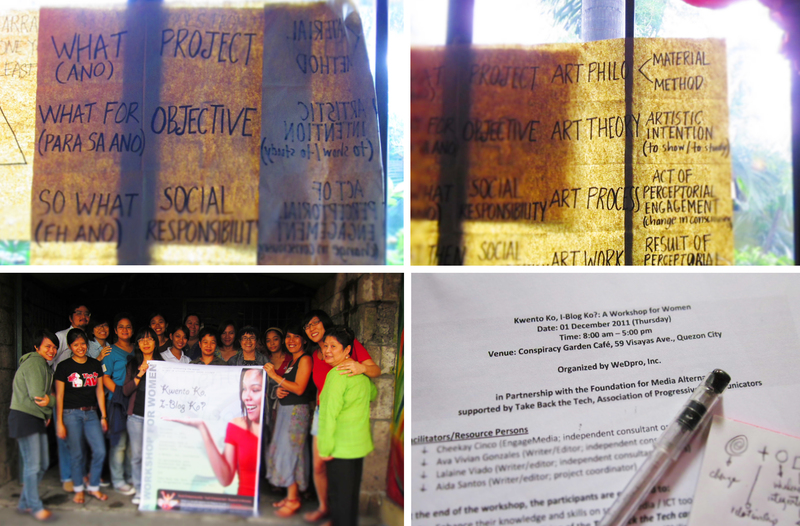 : A Workshop for Women’, an event organized by WeDpro, Inc. with the Foundation for Media Alternatives and supported by Take Back the Tech and the Association of Progressive Communicators. the workshop’s main goal was to enhance the participants’ ict tools’ knowledge and skills, and for them to ultimately be able to use social media to help end violence against women and children. 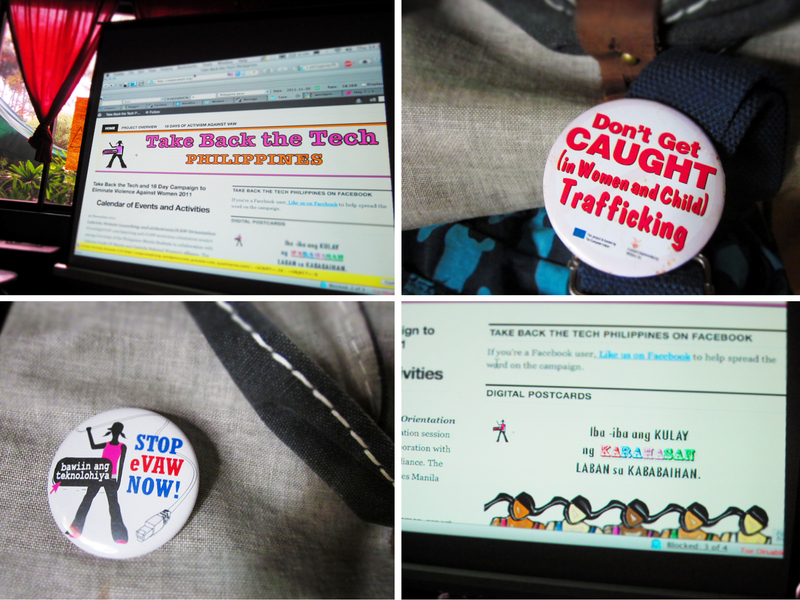 an immediate goal is to localize the Take Back the Tech campaign by contributing to its philippine website. given that, it felt good to have been surrounded by people who share the same concerns as i do. people who not only share the same concerns but who actually, actively, selflessly exert effort that ripple out and *changes* things. people who tirelessly battle the status quo and wade through political red tape just to advance a couple of inches at a time. people who care enough to make the rest of our lives better and freer when we’re too bogged down by everyday life to. of course being surrounded by people like these also made me feel a teensy bit guilty about my distinctly bourgeois and self-centered lifestyle. exhibit a: the name of my blog is ‘the jona story.’ i rest my case, ahem. so to ease my smarting conscience, i hope to be able to do more. i’m writing about it, for starters, which, best case scenario, would nudge a few hundred thousand other consciences into taking action. worst case, it touches one — still good, in my opinion. so really, it’s a win-win situation, yes?